Tokai Forum - a subsidiary of TokaiRegistry.com :: View topic - Meet the Jackson 5! Posted: Sat Aug 25, 2018 3:46 pm Post subject: Meet the Jackson 5! Thought I'd get a photo of all my RRs together. 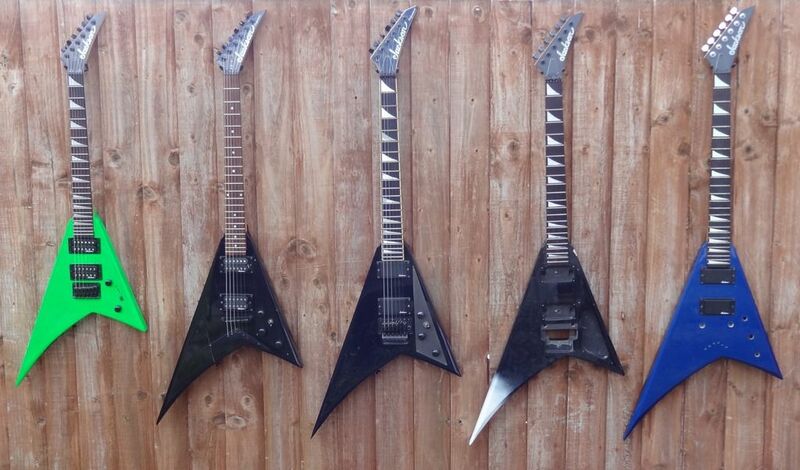 Middle one is Jackson professional RR 1 hand built, through neck. Solid. Got 3 projects on the go and the green dinky was a bargain.